Click on the picture to see the Ravelry group. 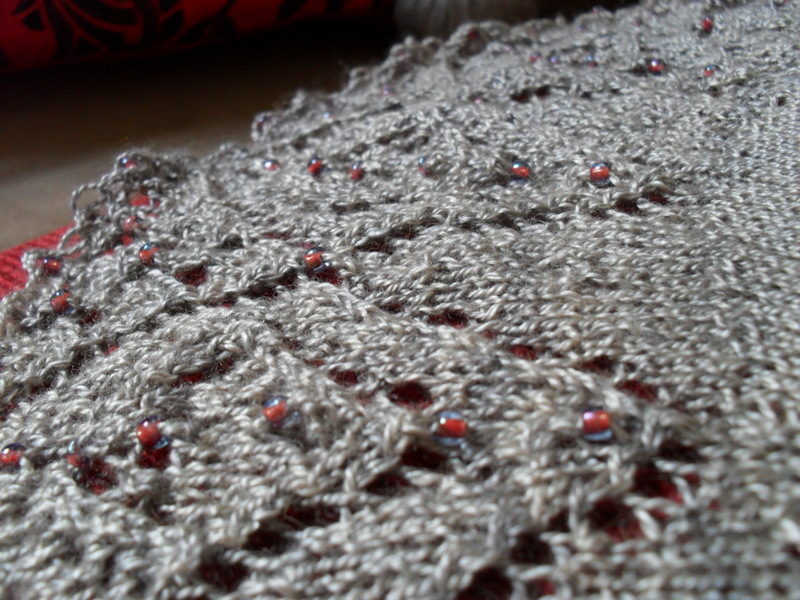 Last year, when I participated in my first KAL (knit-along), I enjoyed the process immensely. There is something enchanting about knitting the same thing as many other knitters around the world, not knowing what it’ll end up looking like but faithfully trudging on, and have a forum to discuss any challenges the pattern might pose. Mystery KALs are always a special case. Usually, you get the pattern for less than then full sale prize, but you don’t know what you’re buying. For me, that adds to the appeal, but can of course backfire. 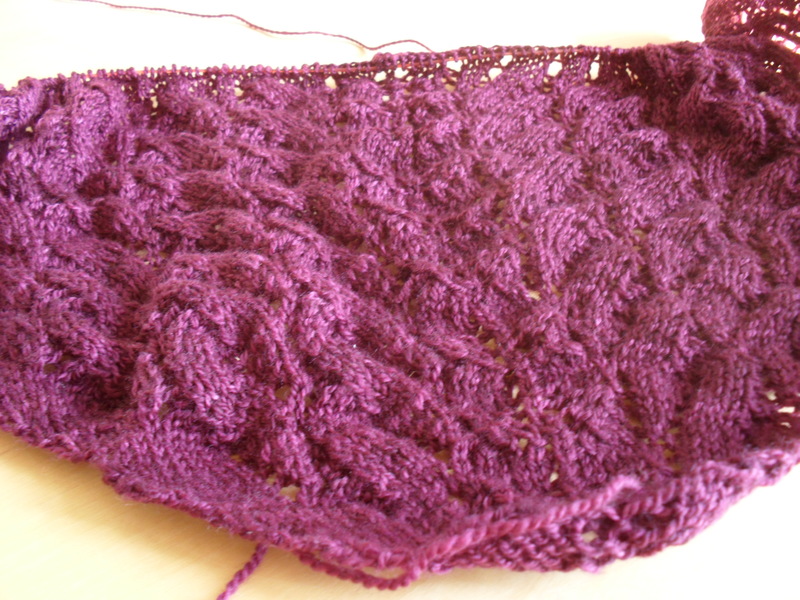 I have done a KAL last year where I had to give up, because no matter how I looked at it, I didn’t like the pattern. It was painful to knit, and I didn’t like the look. After several tries, I finally ripped it. This is the gauge swatch, and I’m pretty sure I’ll love this one. So far, I’ve just cast on, so there is nothing else you show you yet. It’s April, and it feels like April. 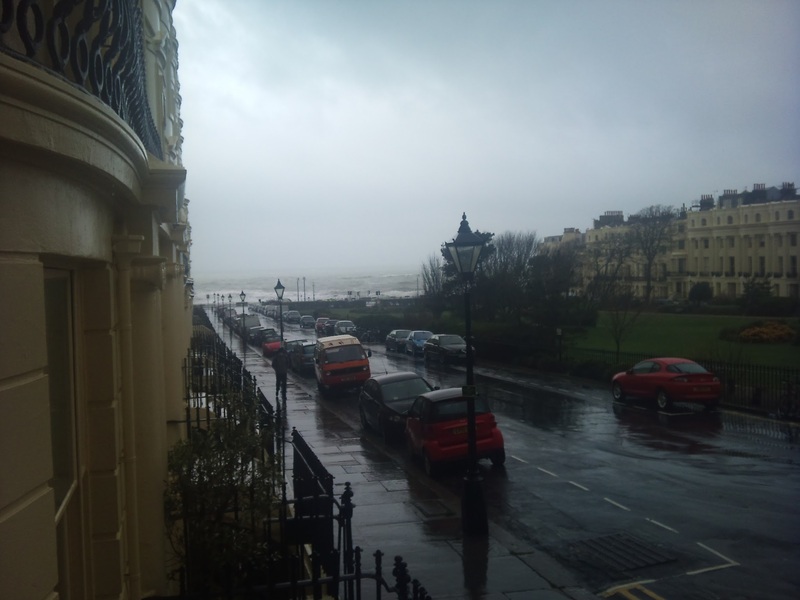 The weather is temperamental, and so is life. Clearly there is only one thing better than knitting – knitting in a group! And since my job and it’s sometimes crazy hours, in combination with my general tendency to be a bit shy to just show up for meetings, make it difficult for me to join an actual knitter’s group (though I haven’t quite given up on it yet), obviously a virtual knitting group is the next best thing. And by “next best”, I mean absolutely bleeping brilliant. 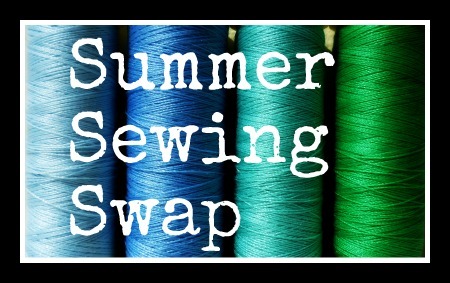 I had such a blast with the Susanna IC KAL that even while it was still going, I started looking for another one. Enter stage left: Roxanne from Zen Yarn Garden, who generously offered for me to join the Fickle-Zen KAL very last minute. The yarn, travelling all the way from Canada to the UK, took it’s sweet time, but arrived in time, and is absolutely gorgeous. Choices were between Lemongrass green, Marigold yellow, and Raspberry purple … I was in the edge to go with the Lemongrass, as purples seem to be taking over a bit at the moment, but then couldn’t resist the stunning colour, and I lurve it! 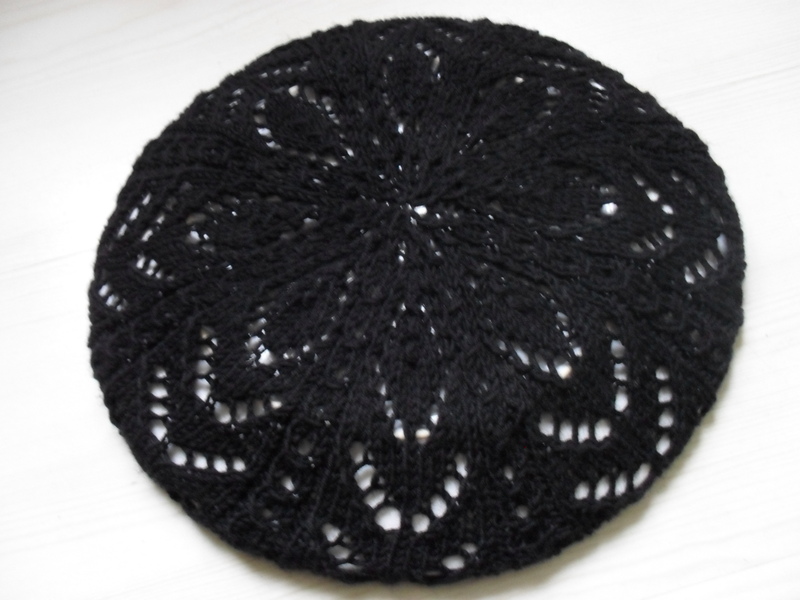 The whole project, so far, is just a joy – the group is great, the chatter pleasant, the yarn a joy to work with, and after the latest fine lace, knits up quickly, and the pattern looks great and is easy to follow. Since I’m having such a blast with the Susanna IC Mystery KAL, I was more than happy to jump onto the bandwagon when offered the chance for another one. 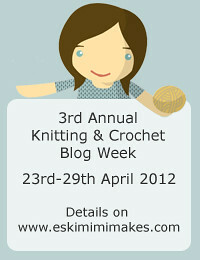 This one is hosted by Michelle of Fickle Knitter Design & Roxanne of Zen Yarn Garden. It started with a bit of nail-biting, as the mail with my yarn took aaaaaages, but finally arrived yesterday. So after a feast of sushi, I raced home, wound the yarn into a ball and started knitting immediately. 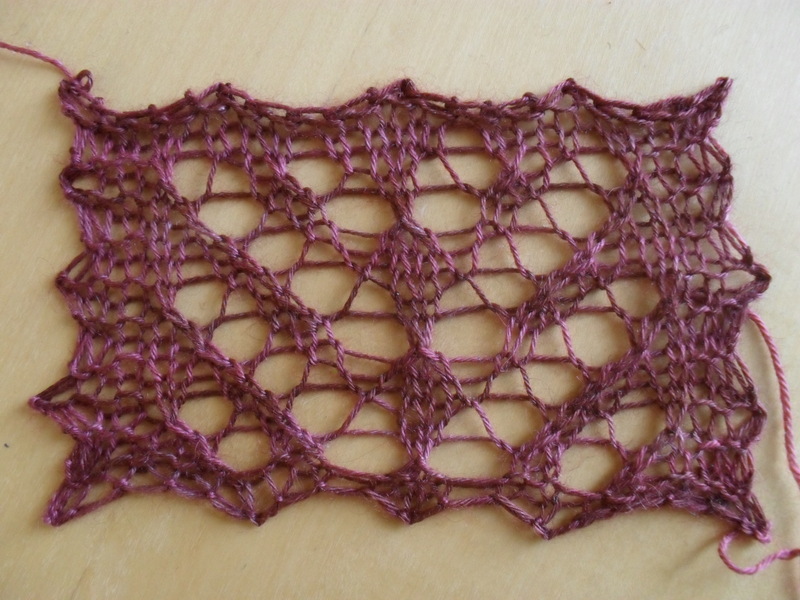 Of course, I had to rip once to start over again (this seems to be a bit of a theme with me and the lace shawls, lol), which was in no way the patterns fault, just my usual “oh, so this reading thing is actually required to understand instructions?” approach. 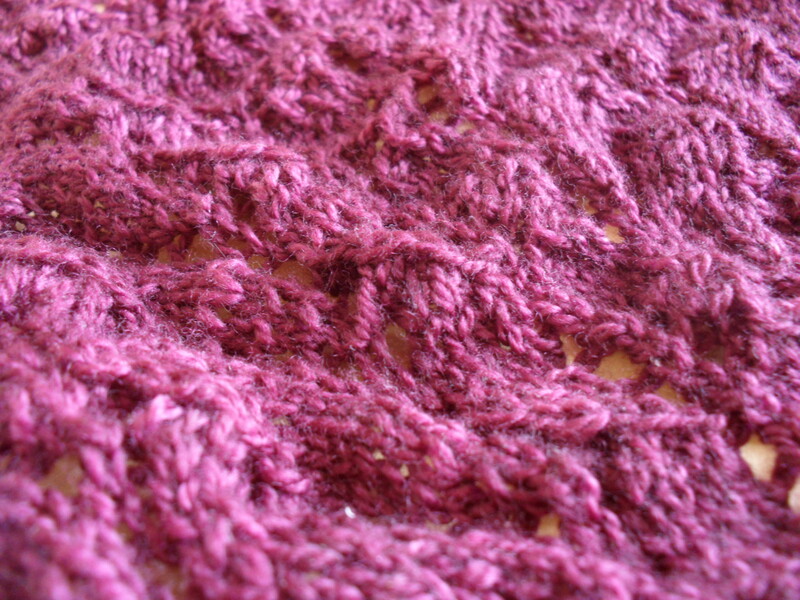 It’s nearly done – short rows have been knitted. What a deceptive name, short rows. 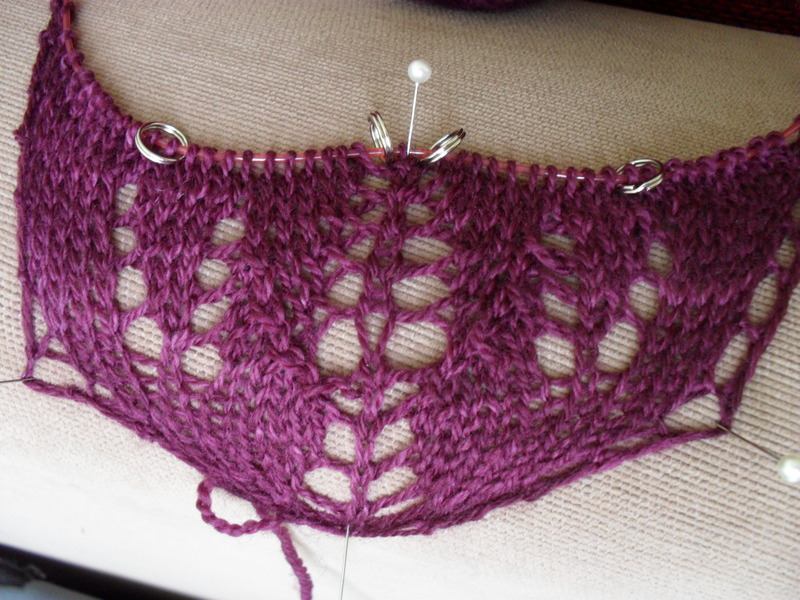 They do start short alright – but before long, you find yourself knitting longer and longer rows, until one is back to the “does this row ever end” feeling which I have come to believe is part of a lace shawl. And it’s okay, really. At least there’s no counting involved, it’s rather mindless “knitknitknit” or “purlpurlpurl” – well, if you use stitch markers, that is, which I did. So now I’m eagerly awaiting the last clue for the lacey top edge, and then off to the blocking … which I’m not at all sure where to do. I don’t have those professional blocking mats, I do not have any carpet in my house … the bed? Guess it will have to be. Thanks to all who voted- it was a tight race! For quite some time, the gold-geometric was up close with the dark brown button, but then gold won the race by a nose length! I’ll sew it on tonight, and then share a photo of the lovely finished hat! 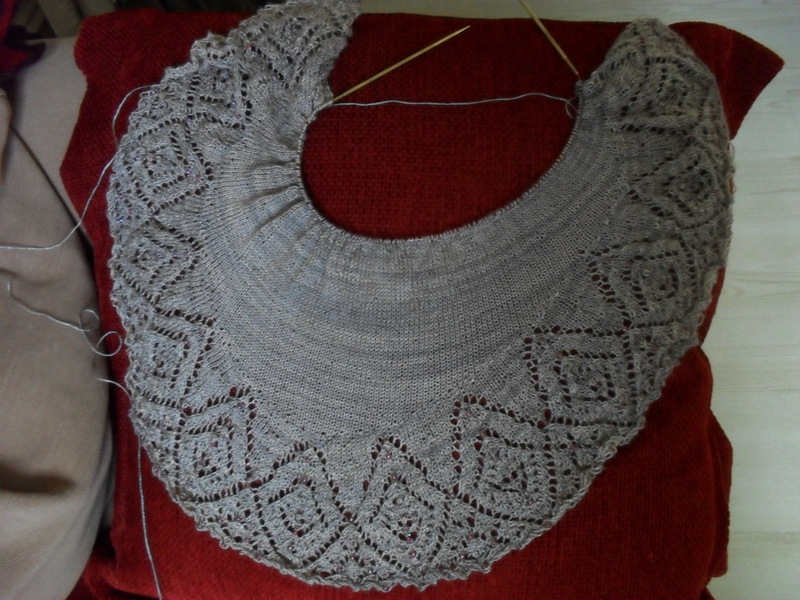 Tina’s Hope is nearly done, and I have even blocked it overnight, using the plate to make it slouchy. 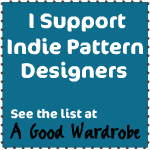 Please vote for my button after the break!